New Zealand UFC star Israel Adesanya has likely set up a trans-Tasman superbout with Australian Robert Whittaker after claiming the interim middleweight belt over Kelvin Gastelum at UFC 236. Gastelum controversially claimed the interim title when long-standing division champion Robert Whittaker was forced to withdraw from their championship fight in February this year. For Adesanya, the promise of a Kiwi-Aussie superbout with Whittaker has always been the goal, so Sunday's bout with Gastelum was the final obstacle standing in the way of his ambitions - and he took to the challenge with gusto. Already being touted as an instant classic, Adesanya and Gastelum traded back and forth in a devastating display at State Farm Arena in Atlanta. Adesnaya was bizarrely out-striked by the Mexican in the opening rounds until a savage counter-right sent the Mexican to the canvas and set the tone for the remaining rounds. When the dust settled, Adesanya emerged victorious, spurred a by comprehensive 10-8 final round which saw the Nigerian-born claim the middleweight interim belt via unanimous decision. “I was willing to die. We’ve lost teammates to this game,” Adesanya said post-fight. 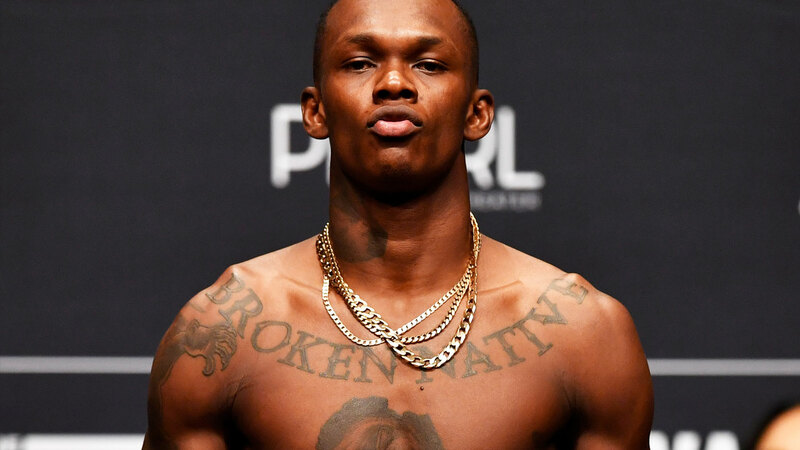 The win sees Adesanya move to a 17-0 professional MMA record (6-0 in the UFC). Faced with the prospect of the Whittaker fight, Adesanya only had a few words.